A group of non-profits is teaming to create the Western New York Human Services Collaborative to help benefit Buffalo's east side. WBFO's senior reporter Eileen Buckley says an ambitious project is underway to try and house all eight in one building on Broadway. WBFO's senior reporter Eileen Buckley says an ambitious project is underway to try and house all eight in one building on Broadway. "We're looking to share services. We're looking to share staffing. We're looking to share programming,” said Ken Houseknecht, executive director, Mental Health Advocates. Houseknecht’s organization is one of the eight agencies involved in this Collaborative. Over the last couple of years they've been working to create a plan to move into a building at 1021 Broadway next to the Broadway Market. 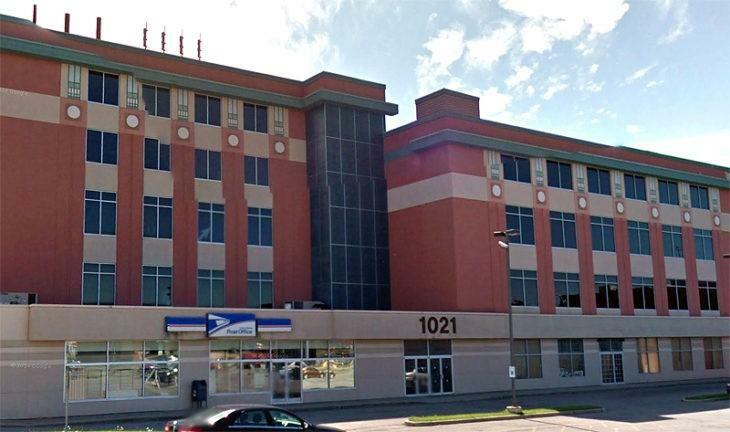 Western New York Human Services Collaborative proposed building at 1021 Broadway next to the Broadway Market. "We already have relationships with many of the people in those communities, so it’s not as if we are going in to establish relationships with those folks – we’re already working with many of them already,” remarked Houseknecht. Thanks to the generosity of the Oishei Foundation, Key Bank/First Niagara Foundations, Peter & Elizabeth Tower Foundation and Patrick Lee Foundation, the Collaboration has now raised $1.45 million toward the building. “We’ve got another quarter of a million we are not ready to talk about publicly, that is right around the corner and some very large request in front of government entities, other foundations, corporations, private donors,” Houseknecht explained. 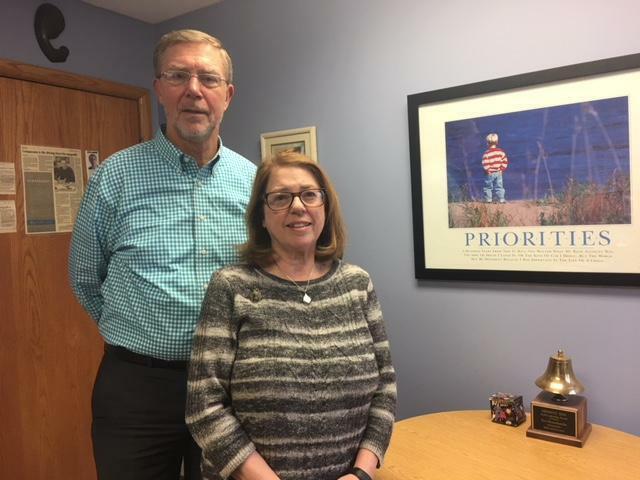 Ken Houseknecht, executive director, Mental Health Adocates & Carol Doggett, senior director of marketing, communications and outreach, at current offices on Delaware Ave.
Jericho Road Community Health already opened a clinic this past November at the Broadway site. Now the Mental Health Advocates, along with Learning Disabilities Association of Western New York, Parent Network, EPIC, Office for People with Developmental Disabilities, Children’s Mental Health Coalition of Western New York, Self-Advocacy of New York State and Spectrum Health Services want to be grouped together, so that they can provide the community with important behavior services. “Once the funding package, in its entirety, materializes then we engage an architect. We’ve already talked with three. We do the permitting with the city and then construction will take about six months – so with a little bit of luck, we can hopefully be that building by 2019,” Houseknecht declared. There are populations in Buffalo who don't always know who to turn to for help with mental health. That is why the Near East and West Side Task Force and Community Health Center of Buffalo will be hosting a series of mental wellbeing forums. WBFO's senior reporter Eileen Buckley says they are called "Color Me Healthy". WBFO's senior reporter Eileen Buckley says they are called "Color Me Healthy". More and more young children are experiencing 'complex trauma'. That has created a need for added mental health services. As part of our on-going Mental Health Initiative, WBFO's senior reporter Eileen Buckley toured Gatway Longview's new Northtown Behavioral Health Clinic in Williamsville to reach more youth. WBFO's senior reporter Eileen Buckley says Gateway Longview has opened a new Northtown Behavioral Health Clinic in Williamsville to reach more youth.